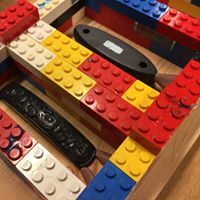 I would like to make sure that you are all aware of the sword giveaway that Grimnir is doing. I'm sure many of you allready have entered, but I think everyone should get a chance. This is part of the marketing of the game 'The Frostrune', a point and click adventure game due to release in september. 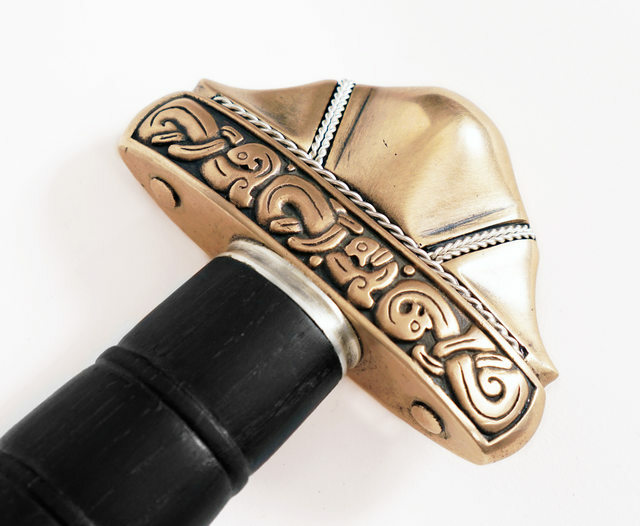 Now I want to present the sword, as it is an exciting project. well, it's a painting by Rene Aigner, the sword is still in production. But you get the design, type and so on. So, what makes it exciting? It is a collaboration between Jake Powning and Nils Anderssen. Jake http://powning.com/jake/ you all know. He has designed some key elements in the game, and he has also designed the sword. 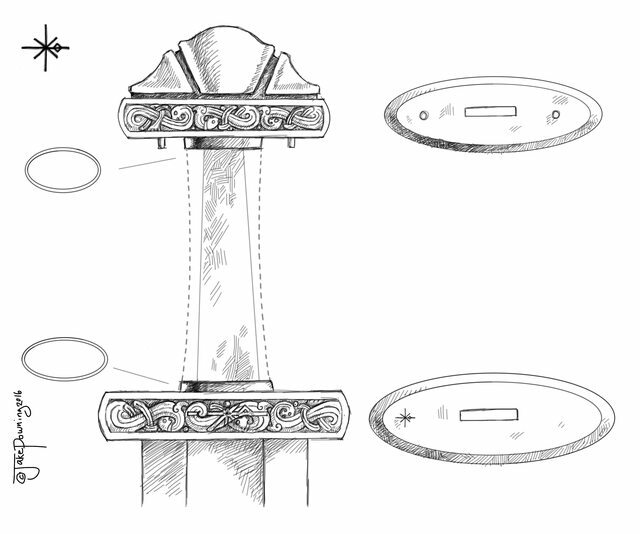 We neded the decorations on the sword to be both as authentic as possible and also reflect key features of the game, and Jake was the perfect guy for this. 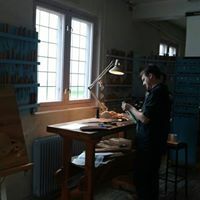 Nils Anderssen is this guy: http://www.bladesmithsforum.com/index.php?s=1...opic=30965 He has made a number of swords and other historical reproductions of really high quality, and is combining highly developed classical skills with modern technology like 3D printing. Lucky for us Nils is also a key part of the development and production of the game. Mr Robinson and I have talked and moved this thread here, as it is a little commercial in some ways. The Frostrune is a point and click adventure game set in viking age scandinavia. You knw, the kind where you move from scene to scene to pick up items, solve puzzles and uncover a story as you play. For hand held devices like smart phones, tablets, or computers if you wish. What makes the game special is that we have made a real effort to make everything as authentic as possible. I have spendt 3 years researching every single object in that game. 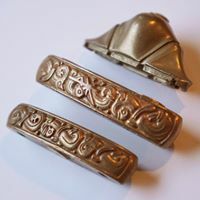 In a few cases, in puzzles etc, we could not find the objects that the story needed, and in those few cases Jake Powning has designed those objects for us. For everything else I have a source. It is not dangerous to enter the competition. you will have to register for a newsletter, and visit our page on facebook, if you are on facebook. The newsletter will not be spam. we are making some trailers for the game, you will recieve those, and a notification when the game is being launched. We will not sell your info or send other junk. I promise! Seems that this 'competition' finished at about 4a.m. 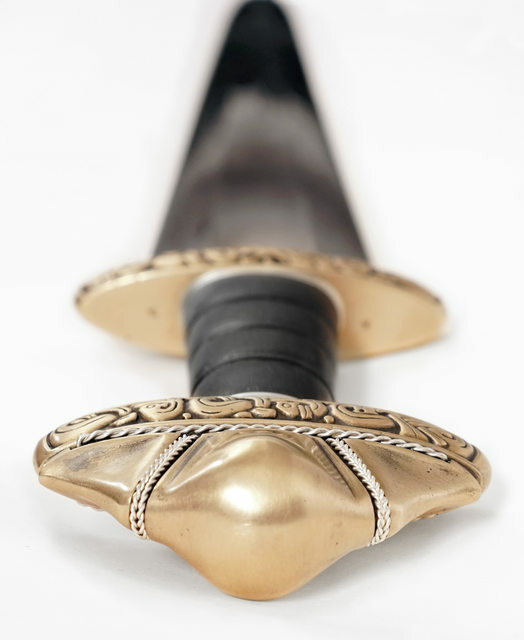 GMT but go on to the 'Win a Sword Competition' webpage and suddenly there is now another 4 MONTHS to go. It would appear that those who entered the 'competition' in good faith may not have had that good faith reciprocated! Not the way to make friends and influence people. Yes, we have postponed the draw of the competition. Sadly. I will explain what happened. We were set to release the game, and end the competition mid october. we missed our finnish date with one week. one small week. but that week changed everything. suddenly all the triple A companies, the biggest companies with multi million dollar marketing budgets, are releasing their games for christmas. These companies buy their way to the top of all sales lists, and suffocate everyone else. We had no chance in h*** to make it if we had released it. Even if we desperately need the money, will go 4 months without a paycheck and have the finnished product in hand. Our publisher, who has the role of being the sober grownup strategist who makes all the smart decisions, made the decision that we release in january. And they have the right, by contract, to make that decision. And it was a good decision. I am sad, and sorry, for this. 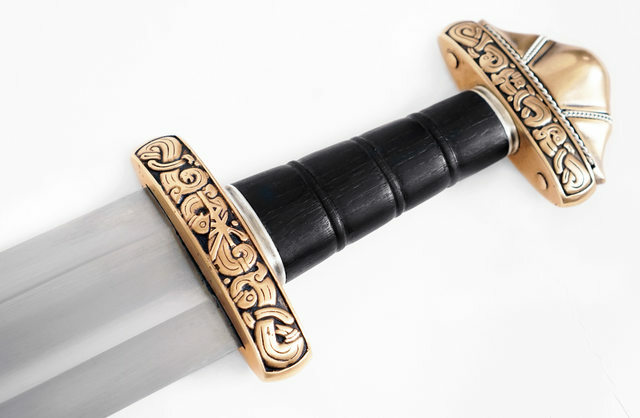 I would have loved to have the sword out by christmas, maybe see someone cut the christmas ham with it, or the christmas tree, or something like this. I do accept the critique, I think you are right to be disappointed, and I had wished to do better by you and everyone here, and everyone in the competition. The things I will do better is; The game will be better, it will not be a rush job! I will have a long and serious talk with the publisher, especially on the topic of the newsletter, to make sure we give everyone the information and explanation that they deserve. 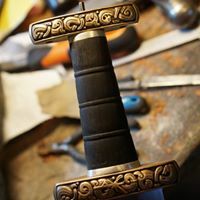 Create more free content, I will talk to the swordsmith about this, make something that is valuable to the subscribers, and send this out through the newsletter and our other social media. Make more content for Steam etc. Sorry for being a bad friend, I will try to be better at it. But really, this is not a problem for me. this is quality assurance. If we find a fault, we have to make it better. we have to learn from it. and I could take several things away from this one, so it's good. reading Normans post didn't make me more sorry, I was already sorry for this, so letting you guys know is not a problem. I appreciate your explanation and I do know that sometimes things do not run as smoothly as expected. 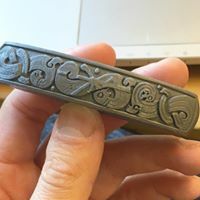 Having more than a modicum of Norwegian ancestry and more than a passing knowledge of Norse folklore I am looking forward to the finished article i.e. the game. I do hope the delay in launching the game will be worth the wait. I'm taking the impatience as a compliment, actually. I am as impatient as you, and I really can't wait to see your reaction, both to the finnished sword and the finnished game. I was at a game expo this weekend, testing the game on the audience, and people comletely lost track of time and we had to politely remind people that they had played for 30-45 minutes, and that there was a line It was an enormous confidence boost! We had a meeting last night about the issues. I am writing a blog post right now about the delay, and we will use the newsletter to reach everyone with an announcement. 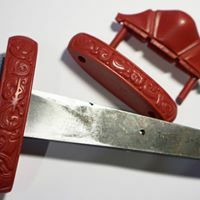 I also talked to the swordmaker at that meeting and we are rushing for an update. 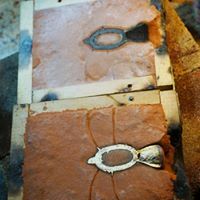 I believe he is quite soon ready to send the wax models to casting, so that will be exciting! Thanx for keeping me alert! It's fun, very atmospheric and the artwork is beautiful. Has anyone won the sword yet? Ladies and Gentlemen, the end of this thread is getting near. The game is out on all platforms and getting awesome reviews. 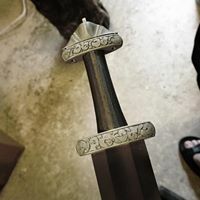 The sword is finnished, and the feedback is awesome. The competition will be concluded on sunday. The winner will be drawn on GDC, Game Developers Conference, in San Fransisco by the legendary Tim Schafer from Double Fine Studios, the Peter Johnsson of adventure gaming. The announcement will be made Thuesday February 28th. You can see the pictures here https://www.facebook.com/pg/grimnirmedia/photos/?tab=album&album_id=1276386859110764 and also I have attatched some. 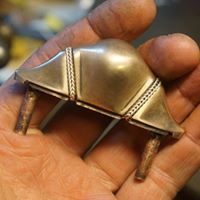 If you look around in the photo section of our facebook page you will find a bunch more WIP pictures. Ok, so I figured I'd throw together a WIP post as well. I was allowed 10 pictures, but I think you get the gest of it. It was first designed in a 3D modelling program on a computer. then sendt to Jake Powning for final design, and then 3D modelled in his design. the pictures starts after Jake was done. Enjoy, and join the competition! 3D printed model of the crossguard, with the correct pattern. Lots of cleaning up to do. The time has come to reveal the winner. 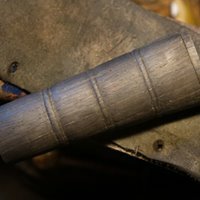 I am quite confident that he is a member of this forum, I did a little research and found out he is a respectable knife maker out of South Africa. Well, ladies and gentlemen, please congratulate Stuart Anthony Smith from www.Forgedknives.co.za. Looking through his website I feel confident that we have found a worthy winner! Thank you all for the attention! Beautiful, and congrats to the winner! Also, you receive bonus points for using Lego in the casting. Added the game for some much required mobile entertainment while I recover.